A unique and humorous -- and also practical -- approach to the increasingly popular study of Qabalah. This is a seriously funny book! 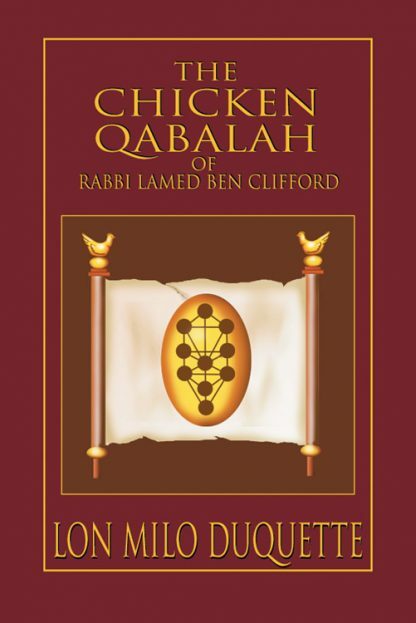 Traditional Qabalistic (or Cabalistic, or, indeed, Kabbalistic -- read this book to find out what the difference is...we know you've always wondered) sources tend to be a bit, er, dry. DuQuette spices up the Qabalah and makes it come alive, restoring the joy of learning the fundamentals of this admittedly arcane system by using simple, amusing anecdotes and metaphors. This account, written psuedepigraphically (fictitiously attributed to a supposed authority), allows DuQuette as Rabbi Lamed Ben Clifford to soar to outrageous heights and, when necessary, stand apart from the silliness to highlight the golden eggs of Qabalistic wisdom nested therein. Sure to be a revelation to those who think that learning about the Qabalah needs to be tedious and serious, DuQuette shows that great truths can be transmitted through the medium of laughter.